ysabetwordsmith | Poem: "Boston Pride"
This poem is spillover from the July 4, 2017 Poetry Fishbowl. It was inspired and sponsored by technoshaman. It also fills the "lesbian" square in my 5-29-17 card for the Pride Bingo fest. This poem belongs to the series Walking the Beat. "It's not right to exclude people,"
Dale says with a frown. It's not a short parade. to cry or to snarl, or maybe both. Chicago what a rainbow is all about!" Kelly signs. I'll invite them. that I can call," Dale says. can and see who comes." arrived, they had a whole horde. with a rainbow badge flag. top and bottom rainbow strips. by a white moon and star. a black triangle and white labrys. a kiss in the upper corner. but the mediators sorted it out. nobody tried to pry them apart. "I think people had fun,"
Tamar said with a shy smile. "I made some new friends." is all about," Dale said. Chicago Pride hosts a Pride Festival and Pride Parade in mid-to-late-June. The 21st Chicago Dyke March rejected people carrying gay Jewish flags. The classic rainbow flag of gay pride has extended into many iterations. Jews may put a Star of David on theirs, while Muslims use a star and crescent. Some police departments use a shield to show support for QUILTBAG officers. Deaf people often use a rainbow motif on a hand signing "I love you." Other flags have a different design. This one uses the labrys symbol for lesbians, and lipstick lesbians use a pink-striped flag with a lip mark in the corner. Queer unity is important for survival, but intolerance is a serious problem inside the community as well as outside. It appears as religious discrimination, transphobia, biphobia, racism, and other isms that should be wasms. In short: Go Boston! :D Not to mention frakking well booooo Chicago, jeez. 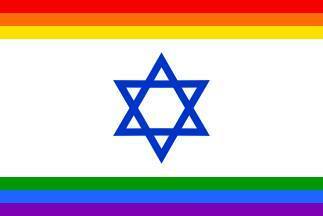 I should show this to a friend of mine, who's both openly Jewish and out proud as a lesbian. Go for it. Once a poem is paid for and posted, it's there for everyone to enjoy. There are a few other Jewish-related poems in this series, and I've also got Clay of Life with Jewish protagonists. Not gonna lie, I'm fannishly pleased I now live in the same neighborhood as Dale and Kelly! Feel free to give me prompts from your area during any open prompt call. I kinda want to give photo prompts--taking pictures of various neighborhood landmarks and seeing you write poems about the Walking the Beat crew being there or something. Yes, exactly! :D Song prompts don't work well for me, but picture prompts are great because I can pull details from the image. When I have someone who lives in or near one of my settings, that's extra spiffy. I'm going to be gone for the next Fishbowl, but some visual prompts for "Walking the Beat"! See if any catch your inspiration! 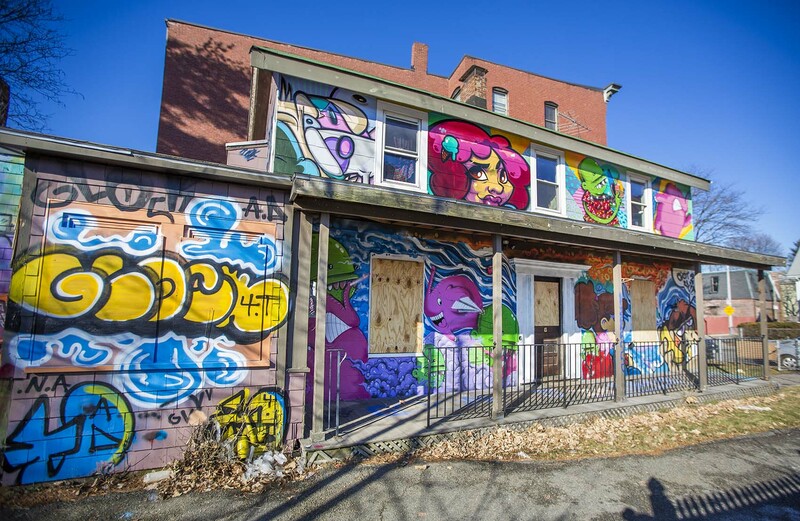 I crammed all of those murals into "Mysterious and Impermanent." 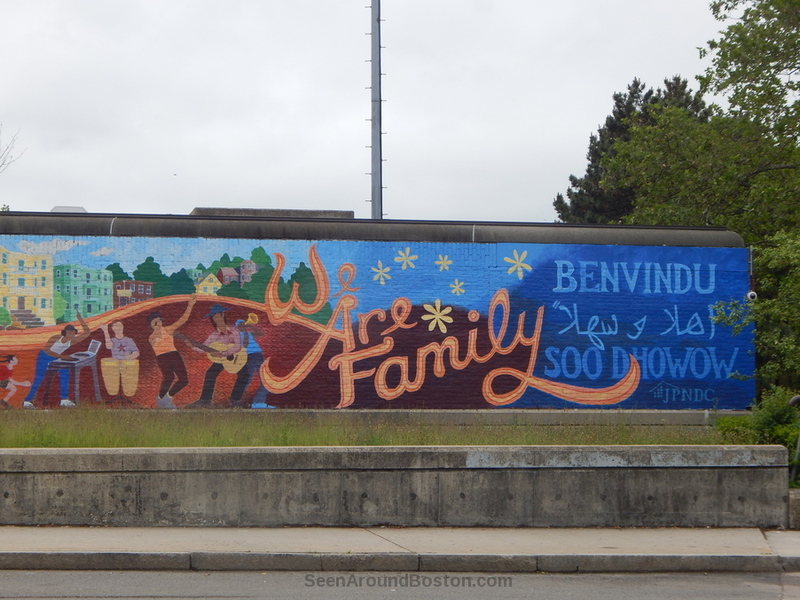 Dale and Kelly love how the street art reflects the culture of Jamaica Plain, including its response to refugees and immigrants.